Greek Beaches You Need To See To Believe! 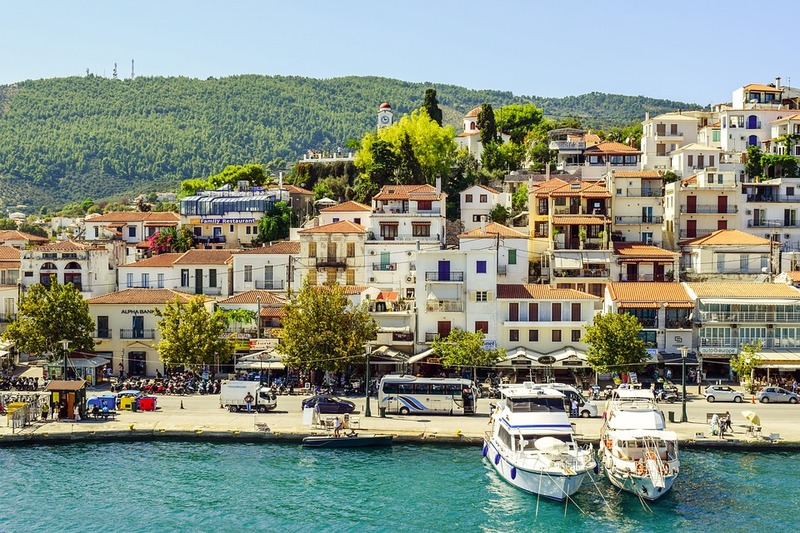 If you’ve been thinking about somewhere to head off to while the summer months are in full swing – or even a little bit after once the kids head back to school and holidays might be a bit quieter – look no further than the amazing, beautiful and welcoming Greek islands. The beaches of Greece are not just some of the most beautiful in the world, but they can really offer up opportunities that you wouldn’t otherwise get to experience on many other beaches in other countries. Check out some amazing beach holiday offers in Greece for the late summer months and into the autumn, especially as Greece is a great place to hit the beaches late into the year since it stays fairly warm and so can be a great place to head to for an autumn getaway. Located not far from the International Airport, Paleokastritsa is an ideal resort town where you can find every comfort away from home. The main – and best – beach in the region is Agios Spyridon, the only sandy beach in the area, set along the coastline in the main part of the town. 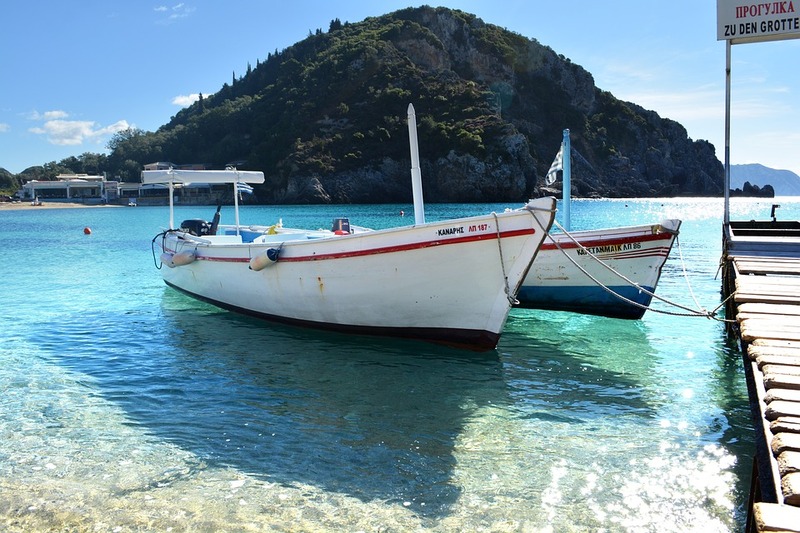 If you are adventurous though you can rent a boat or hop aboard a shared one to explore the other beaches around Paleokastritsa, many of which are only accessed by water. Agios Spyridon is a great starting point though, with its crystal waters and multiple restaurants and bars. Likewise you can do many water based activities from here which will give you a taste of the island life. A highly rated, beautiful sandy beach and one of the biggest on the island of Ios, Mylopotas has for years been a popular spot for tourists from around the world. Only a short walk downhill from the main village, Chora, Mylopotas is a haven for tourists of all kinds. Whether you want to rub elbows with other visitors or you’re keen to find your own spot, Mylopotas is big enough for everyone with sunbeds to rent as well as quieter open spaces to use for free. The beach is well equipped with a number of bars and restaurants along the strip so you don’t need to worry about packing a picnic unless that’s your kind of thing. If you’re into a bit of a rowdier more party-based atmosphere, head to the end of the beach to a bar called Far Out Club. This is the spot on Ios if you’re looking to get both your drink and dance on. Located off the mythical island of Crete, Elafonissi (sometimes spelled Elafonisi), this island is home to a unique phenomenon in the pink sand that lines some of its shores. The sand is created through the mutually beneficial coexistence of microorganisms and native seaweed living together. This symbiotic cooperation creates beautiful sand that perfectly compliments the turquoise waters and makes for truly stunning photographs. Elafonissi is actually an island itself but can be walked to from Crete through fairly shallow waters allowing easy access, perfect for day trips. The best part of Elafonissi is the fact that it’s uninhabited, meaning there are really no hotels on the island, resulting in unfettered beach access and purely natural views with no obstructions. While not just one specific beach on its own, Sivota is more of a region with many superb beaches. Sivota town itself is idyllic in the sense of the picturesque bright blue waters, strips of sand, all set against a backdrop of colourful houses climbing up a hillside. A bit like a smaller version of Italy’s Amalfi Coast, it’s easy to see why many people flock to Sivota. Located on the northwest corner of the mainland, just across from Corfu and south of the Albanian border, it’s a region known for its gorgeous waters, soft sands and even better weather. Check out Mega Ammos beach – rated as the number one beach in Sivota with services for food and drink from adjacent tavernas that line this strip of sand. If you’re into snorkelling consider stopping off at Mega Drafi beach, about four kilometers south of Sivota town. 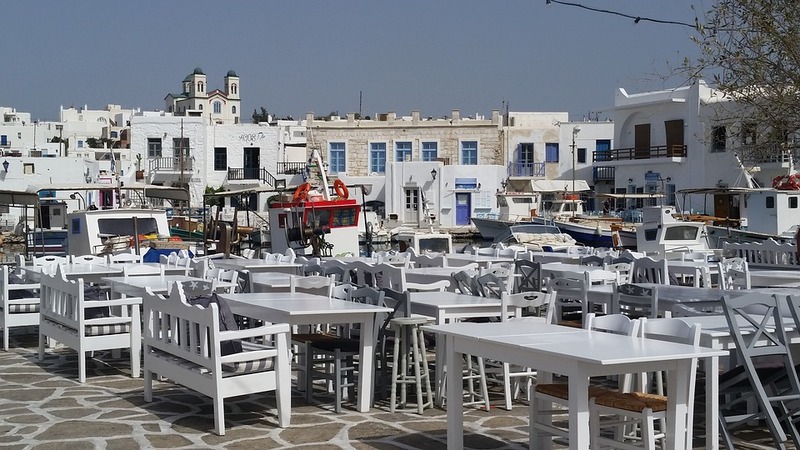 With literally over two dozen beaches to choose from in and around Naoussa, it’s easy to see why Paros is a hit with travellers from all around the world. The nice thing about Paros is that it is indeed small enough to get around the island easily by car if you choose to rent one. You can also opt to hire a taxi to take you to the various beaches around the island – with the top beaches being the idyllic Agia Irini on the south west coast, Glyfa on the south east coast and numerous great beaches on the north east coast including Piperi, Langeri, Santa Maria and Glyfades. On the north west coast be sure to check out Krios beach as well as Monastria/Agios Ioannis beach – both of which are sheltered and offer great swimming and water sports options. Known as the most popular beach and most photographed location, Koukouanaries beach is around 13 kilometres from the city and is home to beautiful sands, bright blue seas and a great chilled out atmosphere. Not only is the water clear and the sands a deep golden colour, but there are thick pine forests that surround the beach and lead to an inland lake that is just as enjoyable to visit. Numerous tavernas are scattered throughout to offer top Greek cuisine, beers and wine, along with a few tastefully appointed hotels, so when you fall in love with Koukouanaries, you don’t really have to leave. 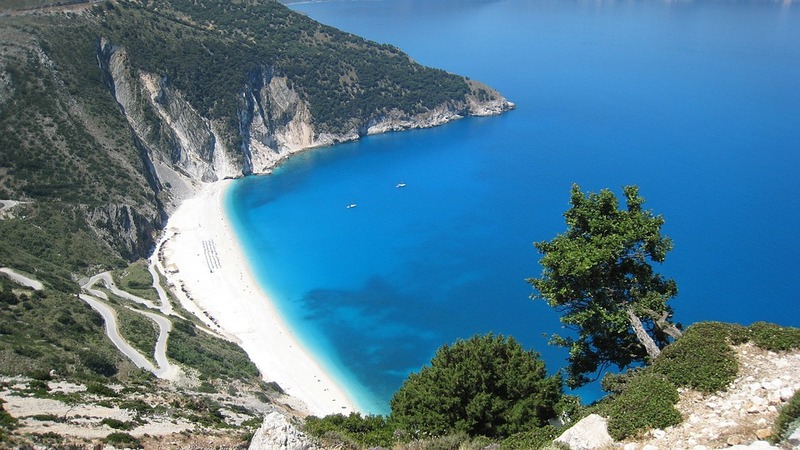 When it comes to beautiful beaches, Myrtos on Kefalonia is hands down one of the best. The turquoise waters highlighted by the bright white sands all amid verdant hills and rocky cliff faces that just add to the commanding scenery. Regularly rated as one of the best beaches in all of Greece as well as across the world, Myrtos is a hugely popular destination – and for good reason. Not only is it exquisitely beautiful, but it offers a truly stunning point from which to watch the sunset. Equipped with a couple of tavernas for food and drink as well as one side dedicated to sunbeds with the other side left unspoilt, it’s easy to see why this is a beach bum’s favourite. So if you’re planning to head off to Greece for any reason from a late summer holiday, honeymoon, or to celebrate a birthday or anniversary, it’s clear that the beaches are the way to go. With so many amazing beaches throughout the country to choose from the only issue you will have is picking which one you want to check out first! So pack your bags – Greece’s beaches await! Crazy For Cruising - Destinations You Need To See Now!